Rita Cant was a legal fellow at CDT’s Free Expression Project, which is dedicated to preserving the Internet as a global platform for speech and association, democratic accountability, the free exchange of information and ideas, and the freedom of thought. 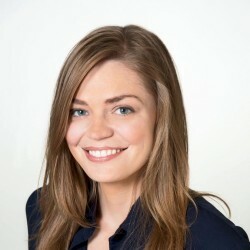 She previously served as a Brennan Fellow at the ACLU’s Speech, Privacy, and Technology Project, where she was involved in litigation and advocacy around whistleblowing, media access, electronic surveillance, and Internet security. Before graduating from Brooklyn Law School, Rita worked as a journalist in Canada, the United States, and Mexico.